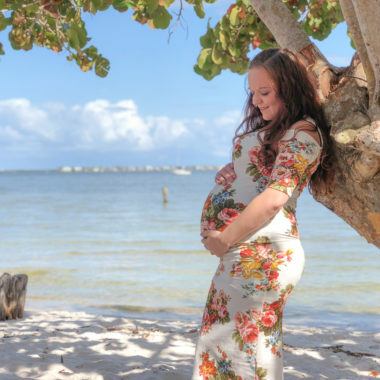 Are you staying active while pregnant? It’s difficult when you’re walking around with extra weight and swollen ankles, but it’s important. 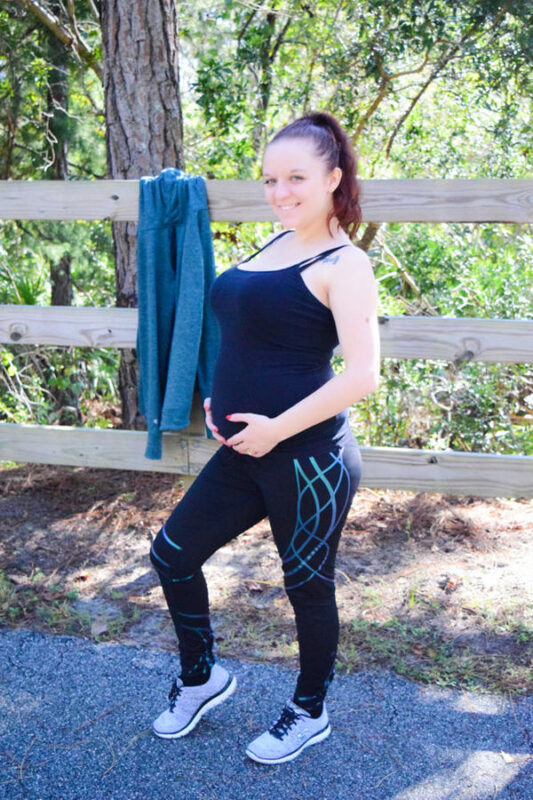 Today, I’m going to discuss how I stay and comfy active while pregnant! I partnered with C9 Champion for this feature. At my very first doctor’s appointment, I was ordered to drink a gallon of water a day and to be as active as possible. When you work from home like I do, staying active isn’t always easy. I sit on my computer for hours and my breaks in between work are spent eating and resting my pretty little baby bump. “I don’t have time to work out,” I thought. Also, drinking a gallon of water a day seems like a heck of a chore. However, I’ve made it my mission to accomplish all of the doctor’s orders and I hope that this quick little post will help you as well. First of all, I want to mention my new workout gear from C9 Champion. Just like most women, I get super excited about new clothing. Give me a new dress and I’ll find a place to wear it. The same goes with workout gear – give me a new workout set and you’ll find me running and walking more than I would on a typical day. Whatever motivates you, right? This new C9 Champion is available at Target Stores and on Target.com. It’s fit for women who want to be active and look good while doing it. We’re talking compression fabric, quick drying material that is also lightweight and breathable. Oh, and the best of all – it’s affordable! Which isn’t something I can say about most women’s fitness gear these days. 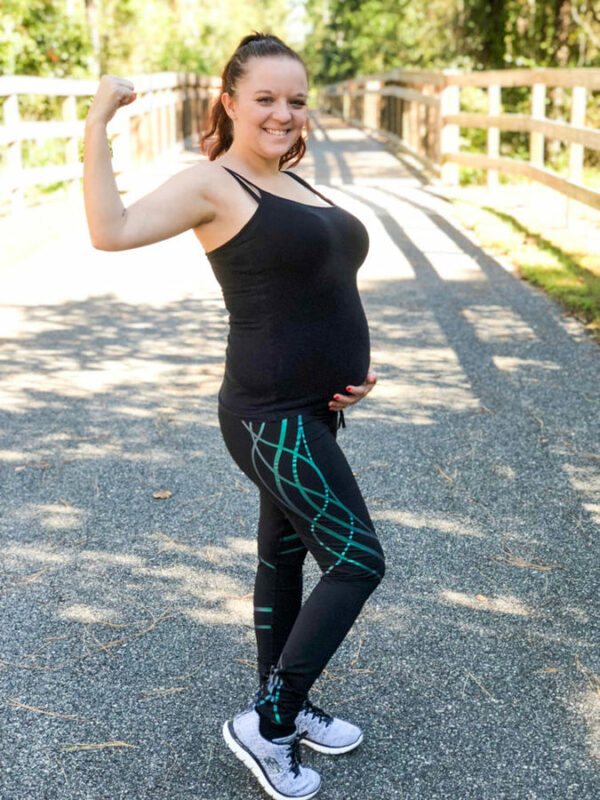 At 5 months pregnant, I’m staying as active as possible. My favorite activity is walking. Not only is it a time for me to be outdoors, take in the fresh autumn air, and listen to the Florida birds chirp, but it’s a beautiful time for husband and I to spend quality time together. It’s a time for us to talk about our week. There’s something about the crisp autumn air that makes me enjoy life a little bit more than usual. Walking in our local nature trails makes it so much easier to stay active because it’s surely doesn’t feel like a workout. 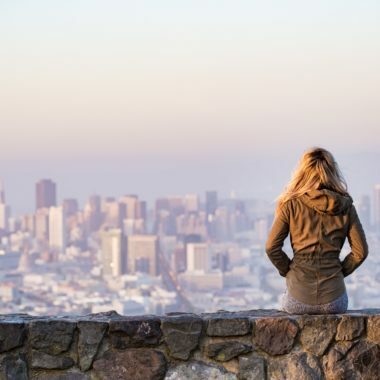 If you have a dedicate space to walk – take advantage of it! I am not and will never claim to be an ideal housewife. I take on minimal chores, especially ones that require lots of movement. I leave the yard work and vacuuming to my sweet man. Now, I’m changing that. Anything that will add to my daily steps is a bonus in my book. I need to prepare to chase a toddler around in a couple years! Mall walking is specifically something that my doctor recommended to me. Being that I live in the torturous Florida heat, she suggested mall walking. However, this isn’t the mall walking that we all think of. Basically, stopping in stores or window shopping isn’t the way to go. We’re talking moving at a nice and steady pace. It’s actually really fun and some malls even have a recommended path for you to follow. 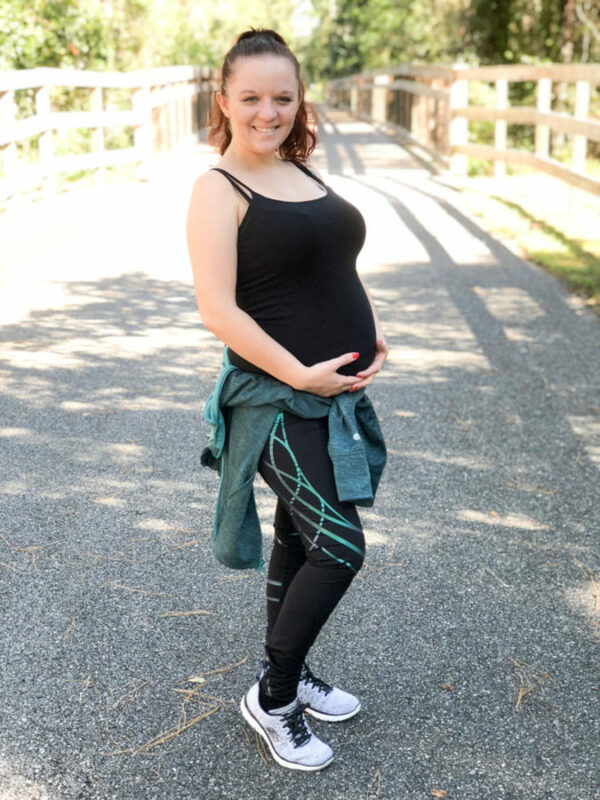 Stay active while pregnant with C9 Champion workout gear from Target! I would love to have a pair of the Women’s Cold Weather Run Tight Leggings – C9 Champion® Black/Gray. It really gets cold here, and any outdoor activity is difficult. These would be ideal. I like the Women’s Performance Track Jacket in Black and the Women’s Freedom All Over Printed Leggings in Purple/Pink print. Both pieces look very comfy. I really want the Women’s Cold Weather Run Tight Leggings because I need them as a hockey coach! Thank you so much! I would love the Women’s Performance Capri Leggings. They look so nice! First off I just have to say I am in love with this athletic clothing line! I would love to get their high was leggings! They are super cute looking and also look very comfy! I also like their v-neck tank top! 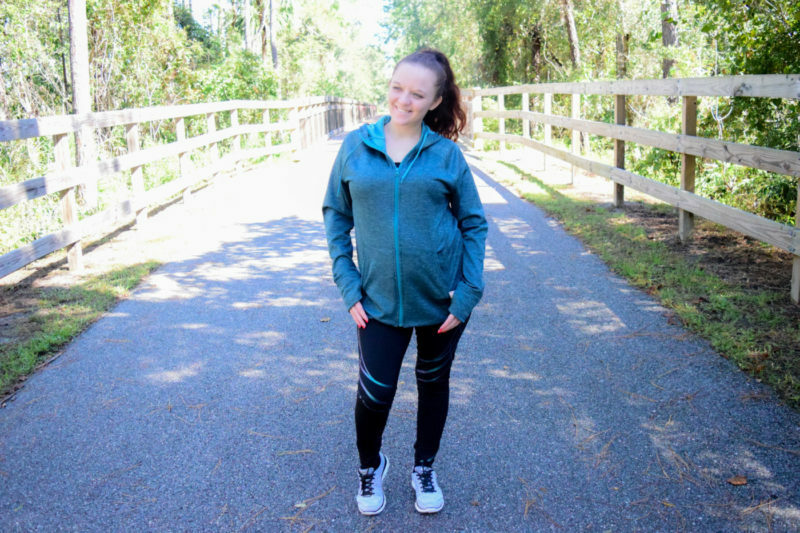 I love the Women’s Performance Track Jacket – C9 Champion! There are so many things I’d love to have, this jacket is good for everything from working out, running, to chores like getting the groceries, raking leaves! And look and feel good while doing it! I would like to get the C9 Champion® Women’s Gloves and the Women’s 2-in-1 Tank with Compression Bra – C9 Champion. I wouldn’t mind some of these Women’s Duo Dry Stretch Body Shorts 4 pk, they look comfy. I would love to add the 2 in 1 tank with compression bra and the Women’s Freedom Lattice Cutout Leggings!! So much to choose from. I’m digging the Women’s Freedom HW Snakebite Leggings and C9 Champion® Women’s Elastic Back Tank for my Zumba class. Man, there was SO much cute stuff to choose from. I would add the Women’s Performance Track Jacket – C9 Champion®. I love the plum color. I like the Women’s Cold Weather Run Fleece Full Zip Jacket. It looks comfortable. I like their Women’s Long Sleeve Tech Tshirt in the grey. Looks very comfortable. Cute styles! I’d love to add some high waist leggings and the tech tops to my wardrobe! They look so comfy! I’d like to add Women’s Embrace High Waist Leggings and Women’s Freedom Cover Up Pants to my fitness wardrobe. I love to add Women’s Embrace High Waist Leggings – Black – C9 Champion® – The Elevated High Waist Performance Legging from C9 Champion® features our Embrace fabric: Hugs you tight. Holds you in. With a high waist for extra coverage and a fit that hugs from your hips all the way to the ankle, this pant will get you through your toughest workouts. i would love to try their Women’s Freedom Core Boyshorts – C9 Champion® – Blue/Cut Stripes Print. I would love these pants to jog in to help get my mom body in shape! I would like to add the Embrace High Waist Leggings along with the women’s Tech T-shirt to my wardrobe for my workout routine. I would like the The C9 Champion® Women’s Performance Cover Up Pant. I love the Women’s Long Sleeve Tech T-Shirt – C9 Champion® the most. i would love to add the women’s freedom cover up pants they looks very nice and comfortable. Any of the freedom run leggings.So cute. I’d like to get a couple of the C9 Champion® Women’s 2-in-1 Tank with Compression Bra. I love the Women’s Embrace High Waist Leggings! I like the way you have categorized all the gifts, while i like the board games a lot my fav is the thermometer. Simply because it’s an innovation that makes a moms life easier.